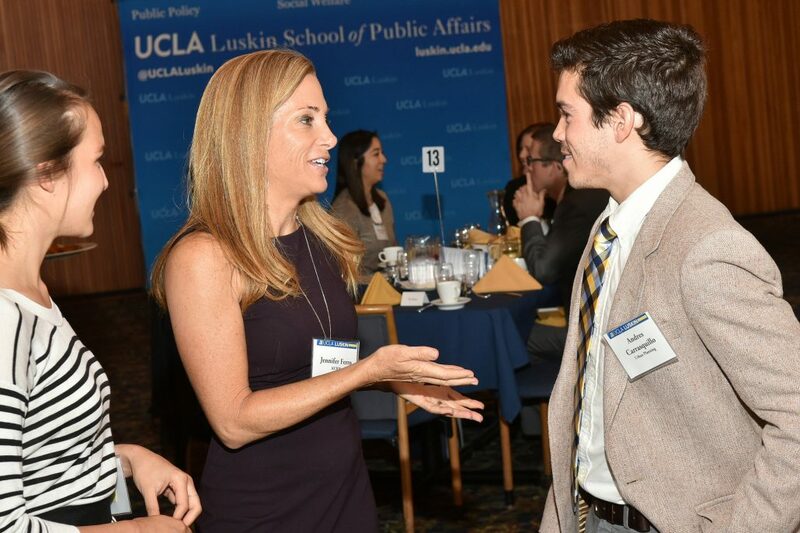 For more than two decades the Senior Fellows Leadership Program at the UCLA Luskin School of Public Affairs has matched the School’s students with professionals. 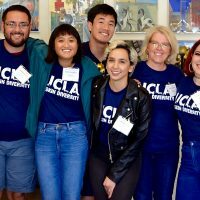 UCLA Luskin Public Policy, Social Welfare and Urban Planning students have enhanced their academic experience with real-world, practical applications by making direct connections with individuals working in their areas of interest. This year is no exception. Now in its 21st run, the program has fielded an outstanding class of fellows representing a wide range of professional expertise. The 2017-18 class includes a former U.S. Congresswoman, a current U.S. Foreign Service officer, the president of a popular local news media and cultural outlet, and an advocate for children’s rights. 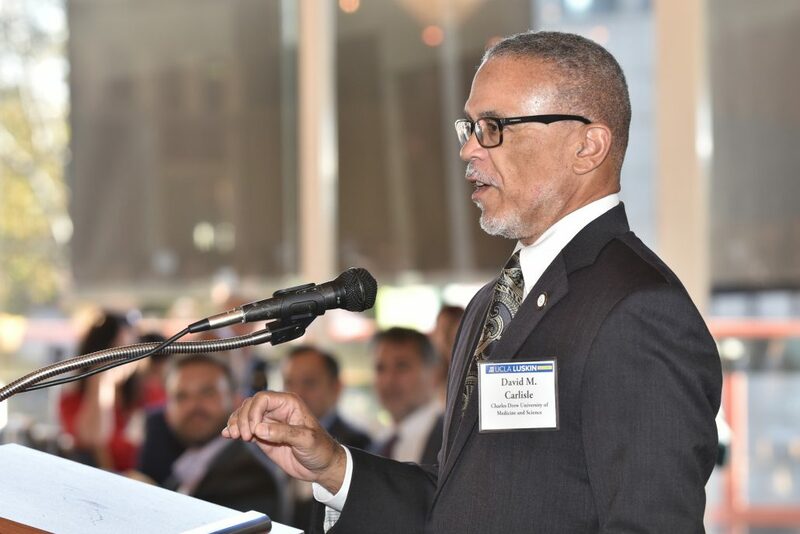 Among the returning Senior Fellows is David Carlisle, president and CEO of Charles Drew University of Medicine. Carlisle, who also is an adjunct professor at the David Geffen School of Medicine at UCLA, served as keynote speaker for the gathering at UCLA’s Faculty Center. 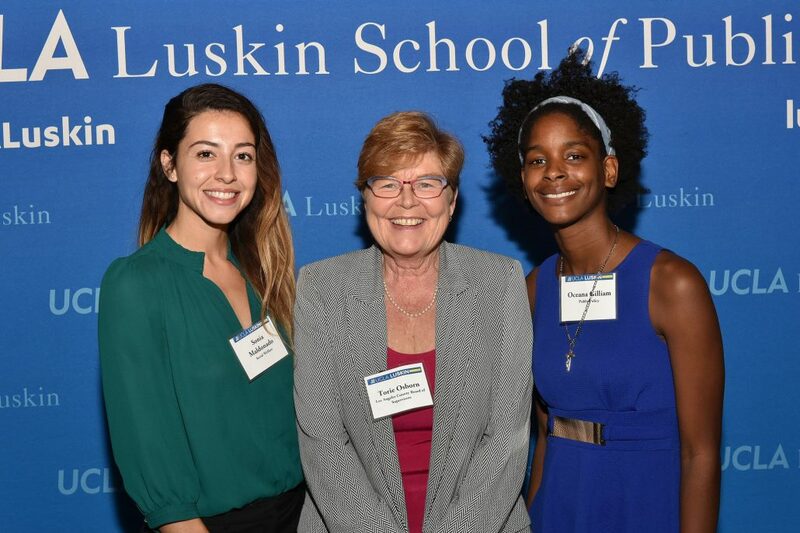 “This is one of the most wonderful activities that I do every year … and I look forward to coming back because of the interaction with young people that this program provides,” Carlisle said to Luskin student mentees, faculty, staff and guests. 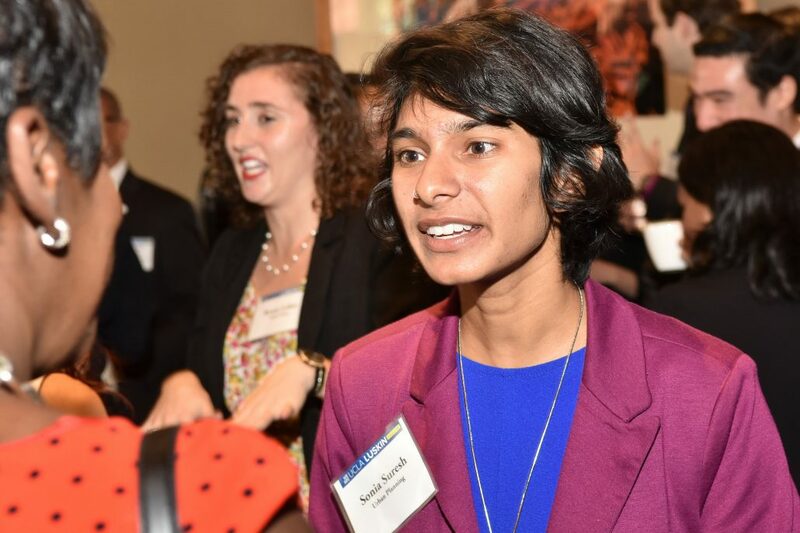 For second-year Master of Urban and Regional Planning student Sonia Suresh, an interest in affordable housing development and working with homeless populations led to her choice of Anita Nelson as a Senior Fellow mentor. 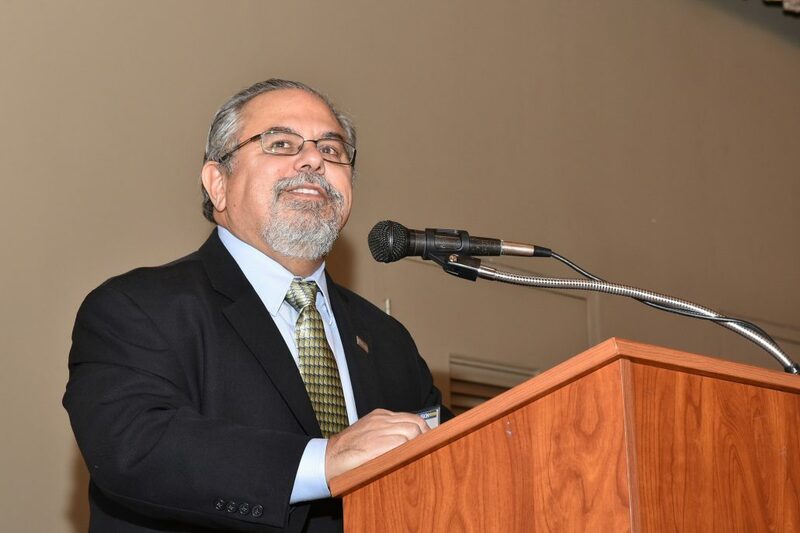 Nelson is the CEO of SFO Housing Corporation, a Los Angeles-based organization committed to providing housing and support services for homeless and low-income people. 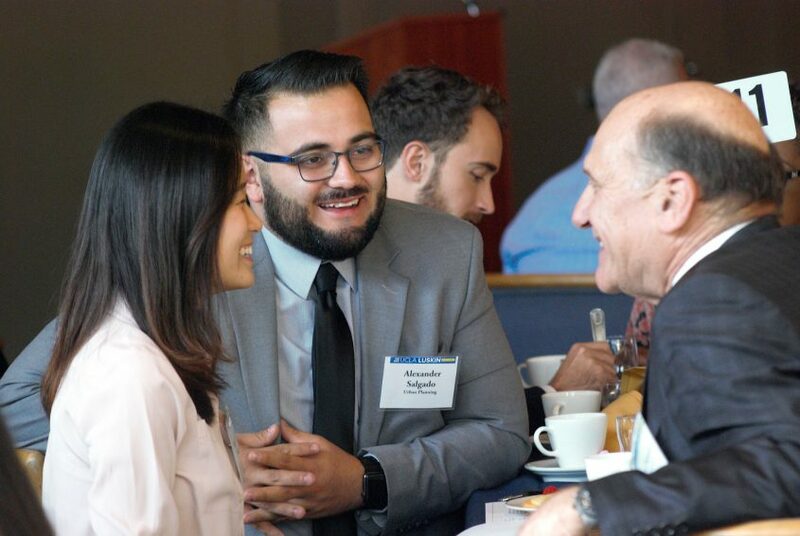 Second-year Master of Public Policy student Bei Zhao and first-year urban planning student Alexander Salgado were partnered with returning fellow Steven Nissen, senior vice president, legal and governmental Affairs, for NBC Universal. Zhao, a native of China who has worked in investment banking in Beijing, said that the breakfast and mentor program provided the opportunity to talk about participants’ backgrounds and professional experience. She said she was amazed by Nissen’s experience bridging the private, public and nonprofit sectors, “which is also the direction I want to build for my own career.” Zhao said she hopes to apply her public policy and finance experience in the public sector of a nonprofit organization. Nissen and his mentees have already planned on continuing their conversation. “At the end of the breakfast, he invited us to visit NBC Universal for further meetings … which shows his generosity for the future generation,” Zhao said. 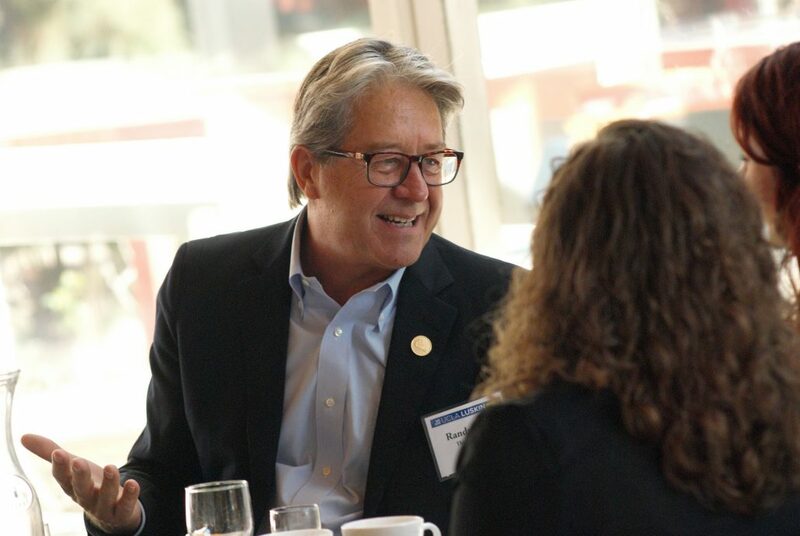 The Senior Fellows Leadership Program is part of the Luskin School’s Leadership Development Program which is led and organized each year by VC Powe, director of career services and leadership development. 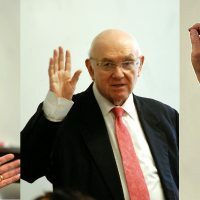 More information on the Senior Fellows Leadership Program, Senior Fellow bios and a full list of returning Senior Fellows are available online.